My Ceviche IS better than yours!!! Whenever I have the opportunity to runaway to South Beach, I always prepare a list of all the restaurants I want to try. This past trip was no exception however My Ceviche wasn’t even on my radar until I arrived. Tucked away on Washington between 2nd and 3rd, this little gem blew me away. One morning on my walk of the marina, my mother and I decided to trek down Washington Ave., to try and find this tiny little place that Grace from the Miami Culinary tours had recommended. 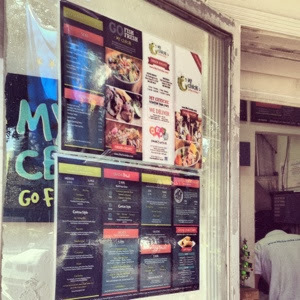 As we approached the small counter, I was given a menu and promised to return for lunch later that day. As soon as we got home, we headed to the pool and planned out what we were going to order. 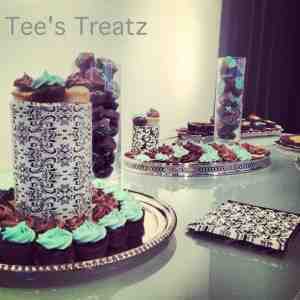 I knew exactly what I wanted, one of everything please! It took us about an hour to narrow down our choices, not too bad considering all the delicious sounding options! 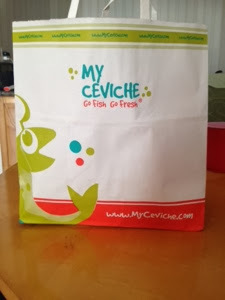 If you order online My Ceviche offers an awesome promotion. 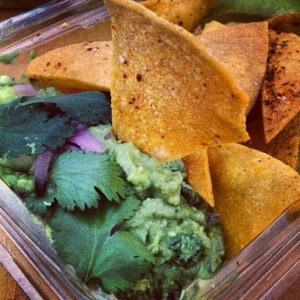 Free chips and guacamole with any purchase of $25 or more – pure genius! Not sure how long they will be running this promo but I highly recommend taking advantage of it while it lasts. 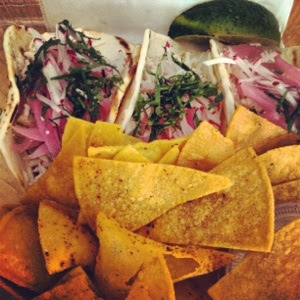 For the three of us, we ordered one large mixed ceviche “tradicional,” three grilled fish tacos, three raw tuna tacos, cilantro quinoa and of course the guacamole and chips. At My Ceviche they offer three ceviche options; fish, shrimp or octopus. For an extra few bucks, they allow you to combine two or all three options. We combined all three - best idea ever! We decided to order the “tradicional” style ceviche which is flavoured with a blend of citrus juices, avocado, jalapeno, red onions, cilantro and tomatoes. 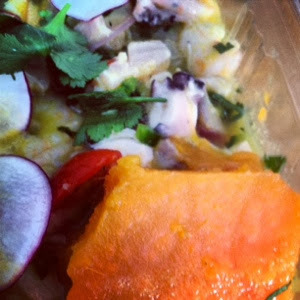 Fresh and delicious are the only words I can think of that clearly depict what My Ceviche is all about. The citrus and jalapeno flavours complimented the fish and seafood beautifully. All three of us could not stop eating the ceviche and finished every last bit, including the juices. The house made spicy popcorn that accompanies the ceviche enhances the citrus flavours of the ceviche and is truly addicting. 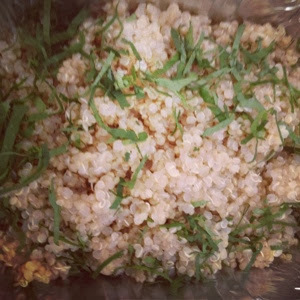 The cilantro quinoa was really simple and mildly flavoured. It was the perfect side dish to the ceviche as it absorbed all the delicious flavours and accompanied the fresh fish beautifully. Next we dug into the tacos. 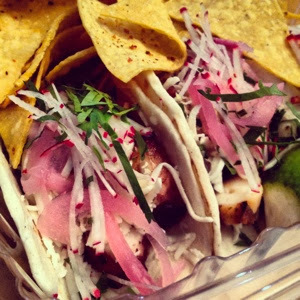 We ordered three grilled fish tacos and three raw tuna ones. Both orders came with their house made chips and your choice of sauces. We ordered a couple lime roasted jalapeno mayo and a couple salsa roja to accompany our chips and tacos. I served each of us a fish taco and drizzled some of the sauces on top for us to try. The sauces were ridiculously delicious and complimented the fish tacos really nicely. The fish was grilled perfectly and really fresh – no fishiness here! We enjoyed the fish tacos but nowhere near as much as the tuna ones we had next. 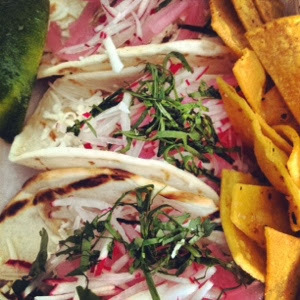 The tuna tacos were fresh, light and delicious. The lime roasted jalapeno mayo elevated this dish to a whole new level. The spice from the jalapeno and the citrusy lime flavour meshed beautifully together and brought out the fresh flavours of the dish. The pickled onions and radishes were the perfect contrast to the tuna, both in flavour and texture. We all really loved these tacos and as we finished, decided that the next day we were going back for more! The homemade chips and guacamole at My Ceviche are just perfect. The guac was fresh and perfectly done with flavours of citrus and spice. Smooth and creamy yet still chunky, this guacamole was a hit and we had no problem licking the container clean. The crispy and delicious spiced chips served not only as the crunch factor, but as the perfect side to the tacos and ceviche. 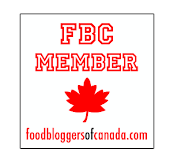 As we gobbled up the last bits of our delicious lunch, we started planning what we were going to order the next day. Like clockwork, the next day at around 1pm, I was standing outside My Ceviche waiting to pick up yet another delicious order of food. 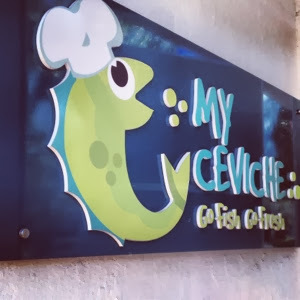 Their slogan, “My ceviche is better than yours,” is so true. Who needs De Rodriguez Cuba at the Hilton Bentley when My Ceviche is half the price and just as good if not better! Octopus is loved by everyone in my family. Ceviche style, grilled or fried, I will eat it for breakfast, lunch or dinner. That being said, I obviously had to order the charred octopus tacos for my second lunch at My Ceviche. The charred octopus tacos were very special. The charred smokey flavour and tender not chewy octopus was out of this world amazing. Drizzled with the salsa roja and lime roasted jalapeno mayo, these bad boys are not to be missed. 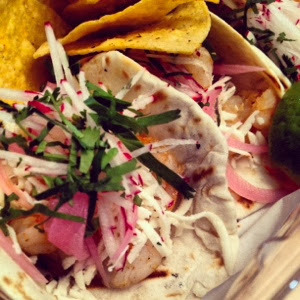 Along with the charred octopus tacos, we also ordered more mixed ceviche, guacamole and chips and of course tuna tacos – delicious! This time we opted for the Aji Amarillo style ceviche, just as delicious as the Tradicional but a tad spicier. Everything was just perfect. I also ordered three grilled shrimp tacos for my father the non-Mexican food lover. He liked them so much that before I could even ask for a taste, all three tacos were gone. I was thrilled he enjoyed them so much but come on, not even one bite for me? 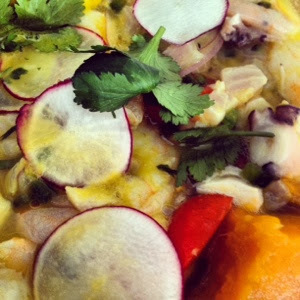 If you love fresh ingredients and delicious flavours, then My Ceviche is the place for you. Cannot wait for my next visit.